Have Du read the Books? Do Du think that Luke and Rebbeca are the cutest couple ever? What is the Musik that is playing when Rebecca walks in to Sus's wedding and how could I get a copy of it? a pop quiz question Wurde hinzugefügt: Who played Becky Bloomwood? a pop quiz question Wurde hinzugefügt: Who eventually became a “reformed shopaholic”? 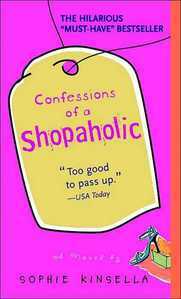 How many Bücher are there in the Confessions of a Shopaholic series?